This year’s Outlook ranking of Indian professional colleges ends with the IITs again dominating the engineering landscape, and the other streams also showing stability in the rankings. This would seem to indicate that it is business as usual, and our institutions are doing fine. However, very few Indian institutions are globally ranked, and, in Outlook last year, I had suggested that to build great global institutions we needed to focus on building teaching and research orientation with a revamp which started at schools. Our students at school level get used to a system set up to crack exams rather than focusing on knowledge. The focus on knowledge has to start in school and continue till the PG and doctoral levels. This should result in the natural capabilities of our “solution finding” nature being applied to research and innovation rather than shortcuts. Interestingly, many students I spoke to during the ranking process believed that the problem was not only one of the schooling system. They ascribed their lack of learning to a combination of the syllabus and teaching methods. Their core issue was that syllabi in their courses were archaic, and teaching methods similarly so, leading to boredom. They also thought professors viewed them as “schoolkids”. Students complained that they could not be expected to learn in this environment. The truth possibly lies in between—some uninterested students who care only for a certificate and a job, taught by some disenchanted professors, who are delivering on their ‘job’ of ensuring the certification. Result: low orientation for R&D. However, some green shoots are showing. There are signs our engineering institutions are increasingly engaged with the innovation process: Ninety per cent of our top 100 engineering colleges have incubators to promote students’ ideas. This ecosystem is being driven by the market and I expect similar trends in architecture, design, fashion etc. What does disappoint, however, is the relative absence of an innovation culture in life sciences. This is strange, given the plethora of PIOs who are innovating abroad, and the huge bioscape which is India. The high innovation area in this is a bridge area between engineering, biochemistry, genetics and medicine, and requires multidisciplinary institutions. This is where brain drain is visible today. It is in interdisciplinary areas like the interface between genetics, information technology and engineering that the most innovation is taking place. Are our students ready for it? One of the attractions driving bright young Indians to the US and Canada is the course structure available to them. Armed with curious, exploring minds, the freedom of mixing and matching courses and streams and interacting with similar minds across disciplines seems to act as a magnet. 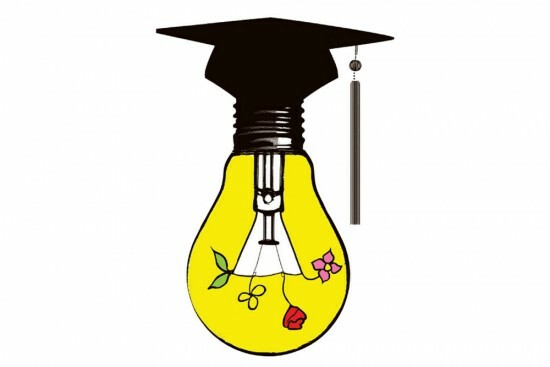 It also seems to produce more rounded, knowledgeable graduates, capable of innovating. This also seems visible in industry today—automotive R&D hubs are coming to India because of the availability of engineers and software experts, as automobile design is converging with software. Examples of convergence abound—bioengineering is another. What does this then tell us about the future? Does it mean that convergence will drive innovation in the future? Will the future demand Renaissance men and women? Or will it demand groups of people who can work across disciplines? It would seem this is already occurring. What then are the implications for education? This may actually imply that schooling systems similar to the International Baccalaureate (IB) are likelier to set a solid foundation than systems that foster rote learning. It would further imply that more “liberal” course structures are needed at the undergraduate level. This would imply that a major systemic overhaul may be required from school upwards. Apart from a systemic overhaul, our teachers would also need to be experts in their fields, and encourage questions and dialogues. Our examinations would need to be geared to thought rather than regurgitation. If the future belongs to those people who can be multidisciplinary in thought, and to organisations and institutions which encourage free movement and interactions across disciplines—how ready are we for this? However unready, we must make a start, or we will be left behind in the next round of innovations, as we were in the previous ones, and our best minds will enrich another continent.